A plot of luxury Hong Kong land went for a record price at auction Tuesday, defying an effort by the government to temper the top end of the real-estate market. Lee Shau-kee, the 82-year-old tycoon who controls blue-chip property player Henderson Land Development Co., paid 1.82 billion Hong Kong dollars (US$233 million), or about HK$68,000 per square foot, for the site. The price was above market expectations and a record high for a Hong Kong auction of luxury residential land, according to auctioneers Jones Lang LaSalle. Mr. Lee's family purchased the property, located in Hong Kong's tony Peak district, in a private capacity. Mr. Lee's son Martin told reporters after the auction that the family planned to build three or four houses on the site, without elaborating. The plot, called Falconridge, was put up for auction by Hui Sai-fun, another Hong Kong property tycoon. The sale came one week after the government sold a suburban plot of land zoned for high-density housing at auction for a lackluster HK$3.42 billion. That price was widely interpreted as a sign that the city's red-hot property market may be cooling in response to tough talk by the government and a flurry of measures including restrictions on large mortgages. 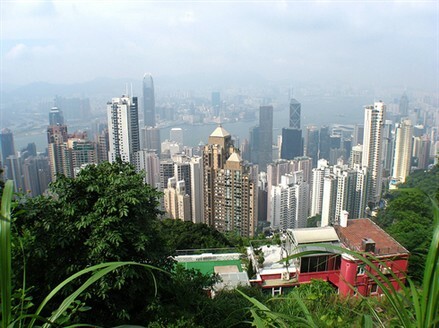 Hong Kong residents watch land prices carefully as a barometer of the market overall. That is especially true when high-profile companies and individuals participate in auctions. Tuesday's luxury sale seems to suggest that while Hong Kong's mass residential market may be softening,luxury properties continue to perform strongly. "The luxury market can maintain its premium value," said David Ng, a property analyst for Royal Bank of Scotland. He noted that the mass market is divorced from that of cash-rich billionaires who don't mind paying top dollar "to allocate their wealth or just to show their status." Mr. Ng expects a coming auction of a mass-market residential site to again show that the market is showing cautiousness, below the high end. Hong Kong property prices soared by nearly 30% on average last year, and have been up nearly 8% in 2010 as money has flooded into Hong Kong, especially from mainland Chinese buyers. Helping the price increases have been record-low interest rates on mortgages. Hong Kong essentially imports its interest rates from the U.S. because the government here keeps the value of the Hong Kong dollar pegged to the greenback. Faced with complaints that ordinary citizens were being forced out of the market, officials took steps last fall to rein in prices. For properties sold for more than HK$20 million, the government restricted mortgages to 60% of the value of the home, from the previous 70%. It also raised taxes on luxury-home purchases and promised to sell more subsidized apartments. To increase supply, the government will auction off two more prime sites in the coming months, including one on the Peak. Mr. Lee is a familiar name when it comes to expensive real estate in Hong Kong. His development company, Henderson Land, last October said it had sold the world's most expensive condominium, a 6,158-square-foot property at its 39 Conduit Road development, for a record US$56.6 million. That sale became a lightning rod for criticism that the government wasn't doing enough to regulate the property market. It also attracted attention for an unusual floor-numbering system that labeled the tower's 46th floor a more auspicious "88." Properties such as Falconridge, on a street of colonial-era houses and low-density apartments, including the residences of the U.S. consul general, rarely come to market. 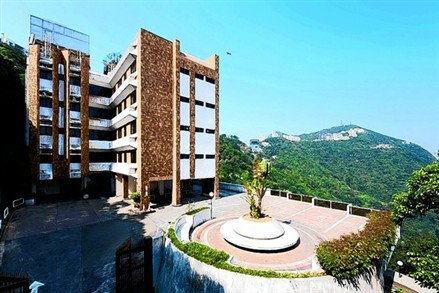 At one public auction four years ago, the government sold a similar site on the Peak for HK$1.8 billion, or about HK$42,169 per square foot. Nicholas Brooke, chairman of real-estate consultancy Professional Property Services Ltd., said Tuesday's high sale price didn't mean the government's cooling measures were failing. "The Peak is all about trophy-hunting," he said. "It's not the real world, the world of the average Hong Kong citizen."